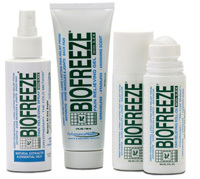 Biofreeze is a soothing cold menthol therapy pain reliever. Most commonly used for sore, stiff and sprained muscles, however has been used for relief in conditions such as arthritis and diabetic neuropathy. 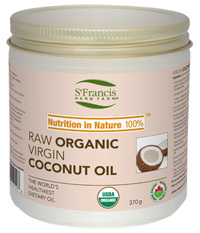 St Francis Raw Organic Virgin Coconut Oil is one of the healthiest dietary oils on earth. This incredible food boosts immunity, kills bacteria and viruses, protects against cancer and other degenerative diseases and prevents osteoporosis by promoting calcium absorption. It also slows down aging and is good for skin radiance. Greens First Original & Berry are phytonutrient-rich, antioxidant super-foods that provide 15+ servings of organic fruits and vegetables. Add Greens Boost and create a wellness shake giving you an extra boost of energy. 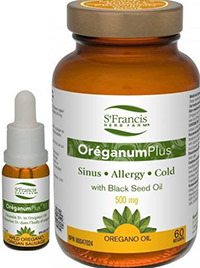 St. Francis Herb Farm Oreganum Plus Gelcaps & Liquid Drops have powerful anti-yeast, anti-bacterial, and anti-viral properties, as well as intestinal cleansing benefits. It is often used with intestinal Candida/yeast, and as a first aid to help treat food poisoning. Oregano Oil has also been found to have powerful antioxidant effects. It is especially useful during cough and cold season and to help with symptoms associated with allergies. D3 1000 Drops enhances calcium absorption and retention – a key nutritional role in supporting healthy bones, and may play a potential role in cardiovascular, colon and cellular health. Liquid Chlorophyll is specifically designed to support and maintain cellular health. Natural chlorophyll is absorbed through the gastrointestinal tract and acts as a cellular astringent and antioxidant. Muco Coccinum is an exceptional homeopathic preparation specifically formulated to help support immune function and stimulate the body’s own defences. 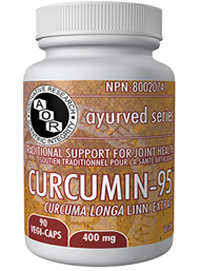 Curcumin 95 Turmeric and curcumin are well known to have antioxidant effects, preventing cellular damage, reducing the production of inflammatory signals, supporting the joints, and promoting healthy cell growth. It protects the liver, supports gallbladder health, helps regulate cholesterol levels, and protects the stomach lining. It is also thought to have antimicrobial and antifungal activities. 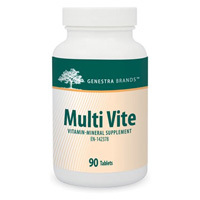 Genestra Multi Vite is a multivitamin formula for bone and blood cell support. Worlds Best Cream allows your body to absorb copper directly through the skin resulting in reduced aches and pains. While bracelets release microscopic traces of copper at the wrist, Worlds Best Cream delivers a proprietary blend of copper centric ingredients directly to the part of your body that needs it most. Simply rub the cream to the area of pain or inflammation when needed. 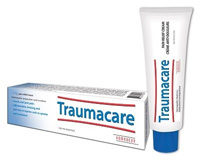 Traumacare is a homeopathic cream used to relieve muscle and joint pain, inflammation, bruising and pain due to injuries such as sprains, dislocations and contusions. 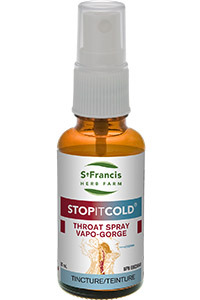 Stop It Cold® Throat Spray helps to relieve sore throat and other mouth and throat infections. Ideal for dry, sore throats associated with colds, flu, or infections like tonsillitis, Stop It Cold® Throat Spray is used in herbal medicine and is certified organic or wildcrafted. 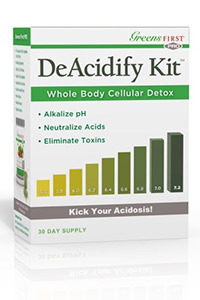 Greens First DeAcidify Kit is the Detox of choice to alkalize the pH of the tissues, neutralize acids and rid them from the body. It’s fast-acting, easy to use, effective, and works by making a real change in cellular biology. (And there’s something unexpected….the products TASTE GREAT!) The results are incredible. 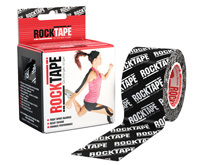 Increased energy, dramatic reduction in muscle and joint pain, weight loss, and more! Try it and you will love it! 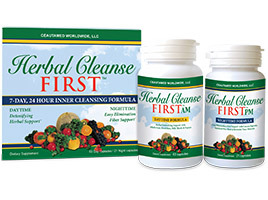 Herbal Cleanse First is a round-the-clock, 7-day support program for detoxifying and cleansing your body. The Herbal Cleanse FIRST package contains two separate formulas: One is for the daytime support to be taken with meals and the second is for nighttime support which is to be taken before going to sleep for the night. Both formulas are specifically created to work in harmony together to help detoxify, cleanse and rejuvenate your body for optimal health and well-being. 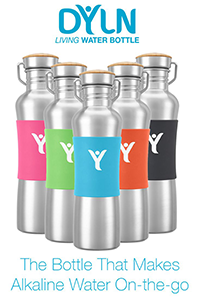 DYLN Living Water Bottles With the help of science and premium components, the DYLN Living Water Bottle was created making alkaline water on the go simple, affordable and in a reusable stainless steel bottle. The Dyln Bottle is made with the highest quality surgical grade stainless steel keeping its container BPA-Free and Liner Free. The replaceable VitaBead Diffuser creates Microclusters in the water molecules so your cells and body hydrate more effectively. To learn more about the products that we carry, contact our office today!